Getting tired of all these Windows 10 updates. Discussion in 'Operating Systems' started by jbscotchman, Jul 13, 2018. It's almost everyday that Windows wants me to restart for new improvements for some reason. In the last few months I've had several gaming sessions interrupted by Windows update, causing me to do a hard reset. The Witcher 3 witch has never crashed before, and I can't even play the Batman Arkham games anymore except for Knight. Last night I spent two hours doing an update to the latest version and it still wants to update on a daily basis. Ridiculous! 2. You can specify your internet connection as a metered one. This should allow to dismiss automatic updates almost completely. If he says his OS wants to update nearly everyday I think he has an issue with his OS... Such as updates not installing at first and its trying to re-dl/re-install over and over. Mine rarely has any updates, except for windows defender definitions. Yeah, everyday is abnormal unless you're on an older version of win10 and it's forcing you to upgrade to 1803 (though that's also undesirable). Go to this site, https://support.microsoft.com/en-us/help/4099479 and check your version of windows against this (type winver in search) to see if you're up to date depending on your version (1803, 1709, etc.). If it isn't, clear out the softwaredistribution folder inside c:\windows and try WU again. I have auto download but install on my say so....which is usually when i shut down my system before going to work mid-day, sounds like op is allowing an update install then starting a game mid update which will restart the system. MaCk0y, jbscotchman, Athlonite and 7 others like this. The 1803 version in Win 10 installed just fine today. What a relief to view recent updates and not see a long list of failed attempts and need-to-restart-to-install entries going back to Dec 2017. It just has the 1803 installation listed. It almost looks strange so see such a short list. Maybe in two weeks the list will get clogged up again. A few weeks ago, a Windows 10 update rendered some computer useless, and the people affected by it were so confused: Well, we paid a licence, we are legal user and owners of the licence, we demand some answers. I just scowled and babbled something about Windows as a service, and all the nice things that Windows 10 does. TL;DR Windows 10 just doesn't care, they will push down your throat updates, and you need to swallow what they want. Never had that. All updates occur without me noticing them. Only when i shut down or restart, I see the updates installing. You just have to adjust your update settings in the options. It's almost everyday that Windows wants me to restart for new improvements for some reason. Yeah, it's impossible. Maximum updates frequency is once a week and those which require a restart is usually pushed once a month or so. The point of latest OS either Linux, Windows or Android is the latest updates. Unplug the Internet, you are not eligible to use your system for that kind of interaction. 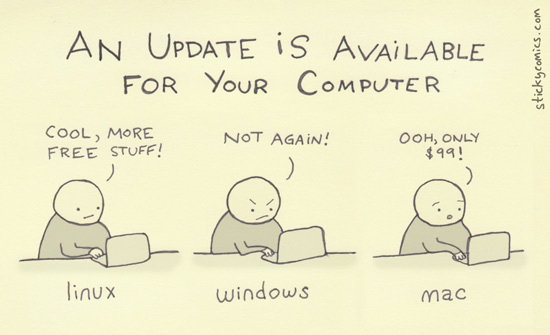 Updating is the epitome of every-day's life. Cave is by far a less tiring place I suppose. You don't seem to understand, the issue is not having the newest update, the issue is not being able to control when to install the latest update. As I said, unplugging the Internet is the legit and wise solution. As a developer myself I respect that end-user should use any updates I release upon the time of public availability. Everything else is just blabbing. If the user is not a tester, should not complain. It's his problem. Unplugging the internet is not a solution to the problem, if you have nothing helpful to share do not bother leaving a comment.